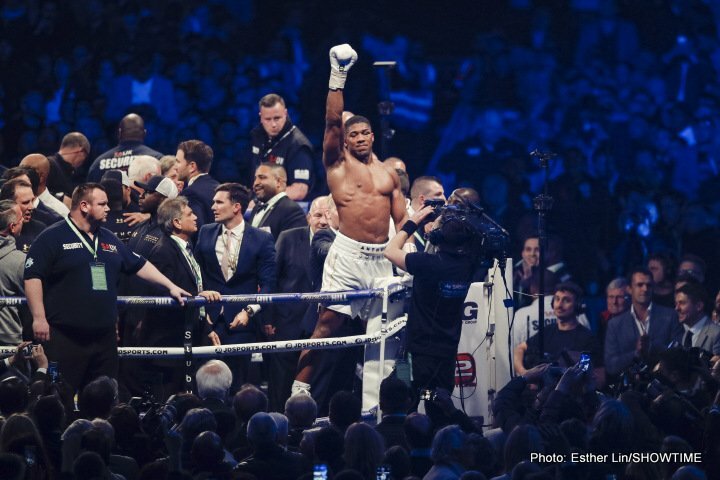 Last night’s thrilling fight between new star Anthony Joshua and old lion Wladimir Klitschko was, big, big, big – but talk has already begun for a fight that could set the bar even higher: Joshua Vs. Tyson Fury. The two unbeaten British giants have been hurling insults and threats at one another for a while now and last night, following his brilliant win over Klitschko, new WBA and IBF champ Joshua wasted no time in mentioning Fury’s name. “Challenge accepted. We will give the world the biggest fight in 500 years. I will play with you. You are a boxer’s dream,” Fury wrote. We may have a ways to go before this fight, an absolute must-see match-up, can happen, and it’s some stretch to suggest the fight will be the biggest in 500 years, but it would be enormous. Can Fury get his license back? Can the unbeaten former heavyweight ruler get himself back in top shape? In the past, Fury has admittedly had motivation problems (along with other problems) but it’s obvious the thought of fighting Joshua in the biggest heavyweight title fight that can be made today has got Fury’s blood pumping. Out in Marbella in training for a planned July ring return, Fury has to know the world is waiting for him to face Joshua. It would be great if it happened next spring or summer, in yet another mega-stadium sell-out. Who wins? That’s a tough one, for a few reasons: we don’t know if Fury can ever get himself back in the condition he was in when he defeated common opponent Klitschko, and we don’t know if Fury will suffer some debilitating affects as a result of his recent lifestyle and added weight. But if he can get himself back in tip-top shape (and Fury is certainly young enough to come again at age 28) and if he really does want to fight Joshua and is willing to push himself as hard as is needed to win the fight, it really will be some battle. Fury has the better skills (or at least he did have before he sadly began to neglect and disrespect them), while Joshua has the greater punch. It could be a classic, and everyone will pay to see it if the two rivals rumble. No points for guessing who the bad guy will be in the promotion, though!